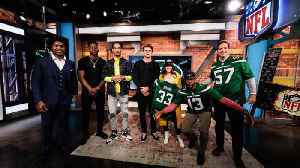 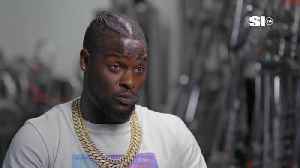 New York Jets quarterback Sam Darnold, wide receiver Robby Anderson, linebacker Avery Williamson and tight end Chris Herndon join "Good Morning Football" to unveil the new Jets uniforms. 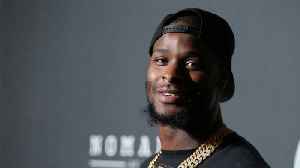 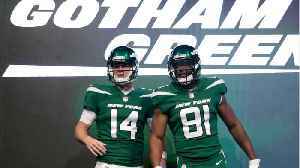 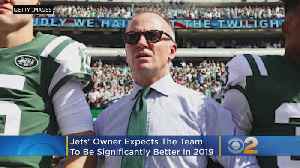 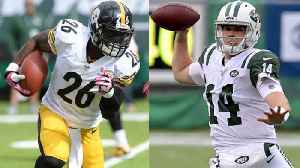 Watch New York Jets quarterback Sam Darnold and wide receiver Quincy Enunwa debut the New York Jets' new home uniforms. 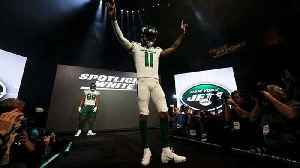 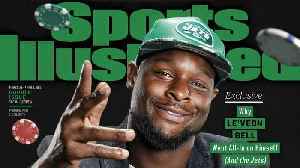 There are things to like about the new New York Jets uniforms, unveiled Thursday. 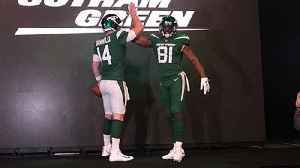 And they’re all mostly undone by the jersey tops which invite the worst possible comparison an NFL uniform can..